In just a few days, after we've recovered from the annual ritual of eating way too much, and providing everything looks good, Nordic Base, snow dependent of course, should be open for business. Excited? Absolutely. While we are waiting, just like everyone else to see if Mother Nature comes through with piles of snow, we can't contain the excitement of the start of the 2015-2016 Patrol Season! 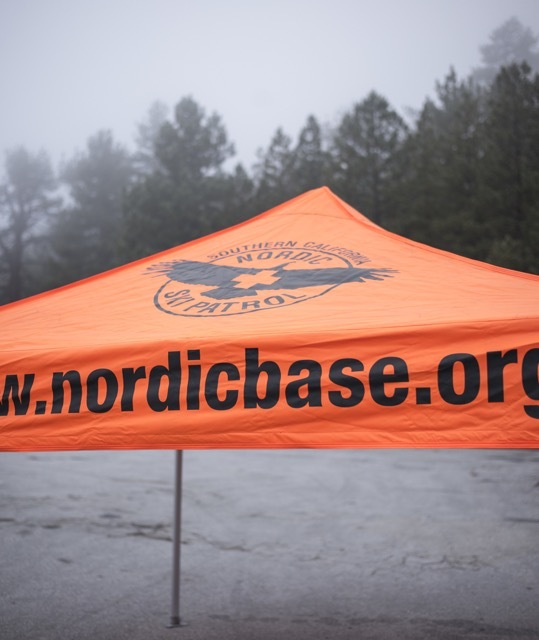 The members of Nordic Base have spent the past few months getting ready for the upcoming year. 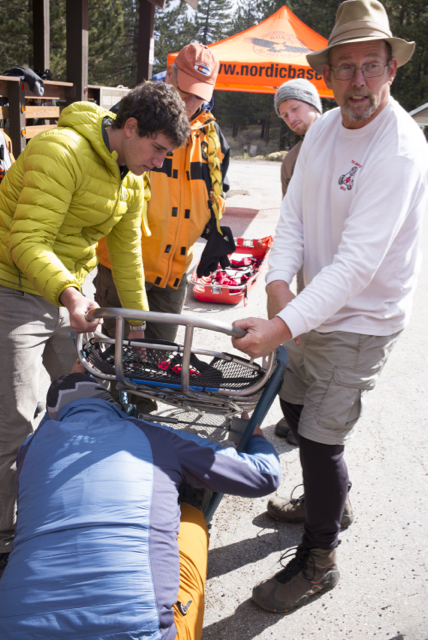 Members participated in "On the Hill" training to make sure our basic outdoor skills are in top form and NSP mandated medical training. Whatever the season brings and whatever snows come, we are ready. Now we ask our guests... Are you? The weekend of the Patrol's "On the Hill" proved to be one of the wildest weather weekends in recent SoCal history. Heavy rains created havoc as major roads (including the I-5), were shutdown by mudflows. This reminded all of us that winter travel is something we must be prepared for. We've provided a number of resources on our website to help our guests enjoy their visit safely. Remember to not only dress for the weather, but be prepared for rapidly changing weather and driving conditions. If Los Angeles or Bakersfield are rainy and cold (in the low 50s), there's an excellent chance of temperatures below freezing and snow at Mt. Pinos. A great outing can easily be ruined by wearing the wrong shoes or forgetting warm hats and gloves. Winter storms are often unpredictable with weather moving in quickly. Sites like Weather.GOV provide excellent resources for making sure you're up to speed on what to expect. 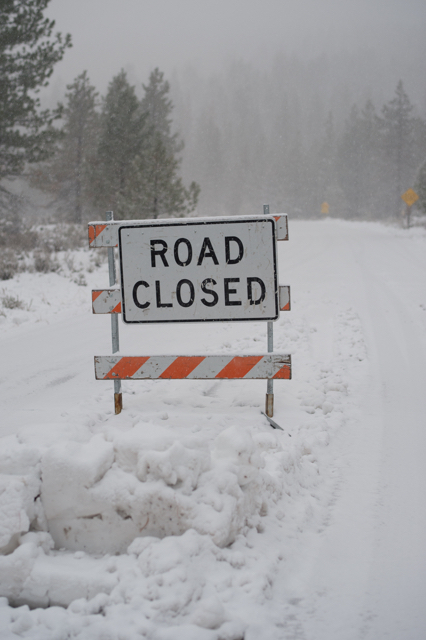 Winter road conditions may require chains so before you head up, make sure roads are actually open. The CHP will close the snow gates to Mt. Pinos if they consider safe travel is not possible. But most importantly, carry snow chains or cables and make sure you and your car are ready for winter emergencies. As many stranded travelers found out during the storm in October, travel may become impossible and you may be asked to stay put. This year just might be epic - and for that, and for our guests, we are thankful. Be sure to check our Twitter feed regularly for reports from patrollers. Safe travels to all and let the fun begin!